This is a photograph of a monument was built by the Calton WI following the demolition of Calton School. 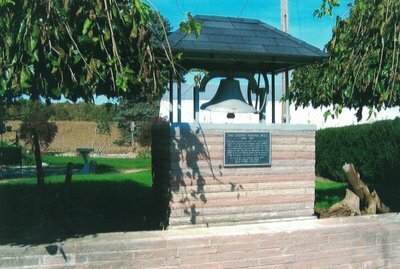 It features the original school bell covered by a small roof, which is raised above a raised brick wall that has an explanatory plaque affixed to it. The entire monument is located in a grassy park area and surrounded by trees.